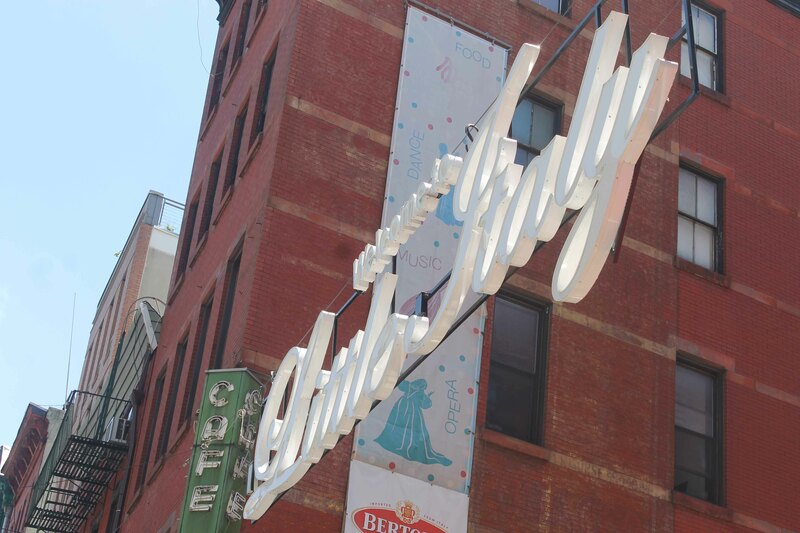 In a cheesy, tourist-y manner, we decided to all meet up at Grand Central and then head out to our place in Brooklyn. 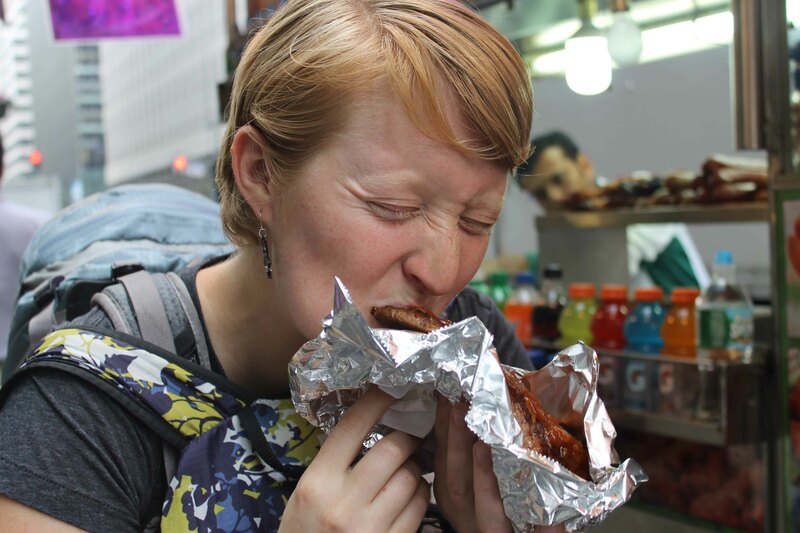 Afton was starving, so we stopped at the first hot dog stand and she ate some real NYC street food – yum! 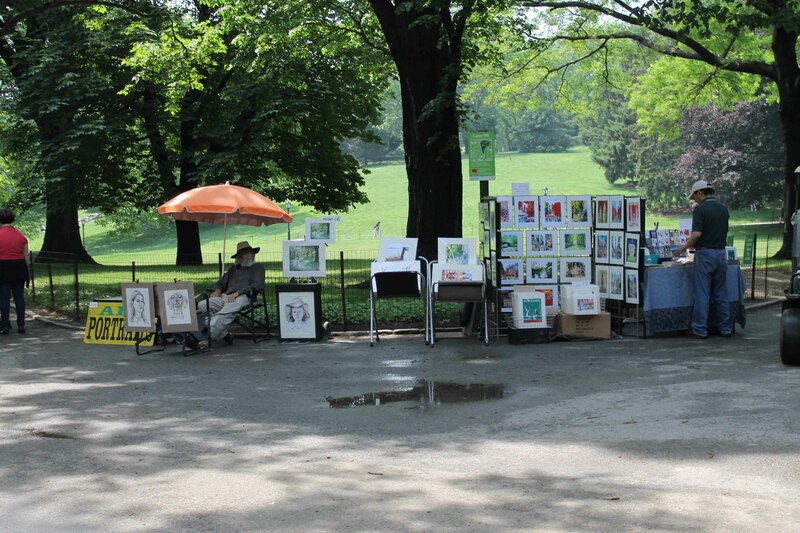 During a walking through Central Park (where, Mom and Dad, we successfully avoided muggings of all kinds), and there were indeed art vendors and art! It reminded me of the children’s book, Carl’s Afternoon in the Park; so much so that a place I had never been before made me slightly nostalgic for my childhood! 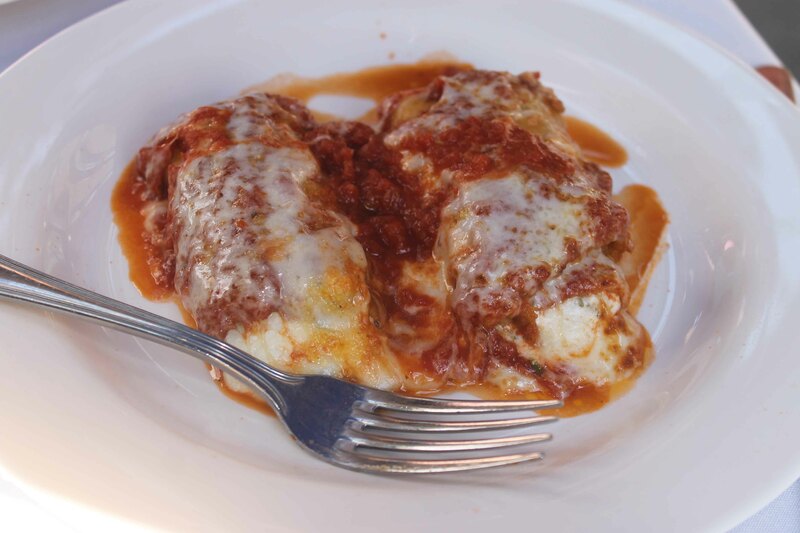 During our third day there, we made it out to Little Italy! Where I had my first real Italian food! (Texas does not do Italian, guys. At all.) Unfortunately, I have a mild wheat allergy, so I stuck to an eggplant dish – and still had a bad reaction due to cross-contamination, but it was totally worth it! 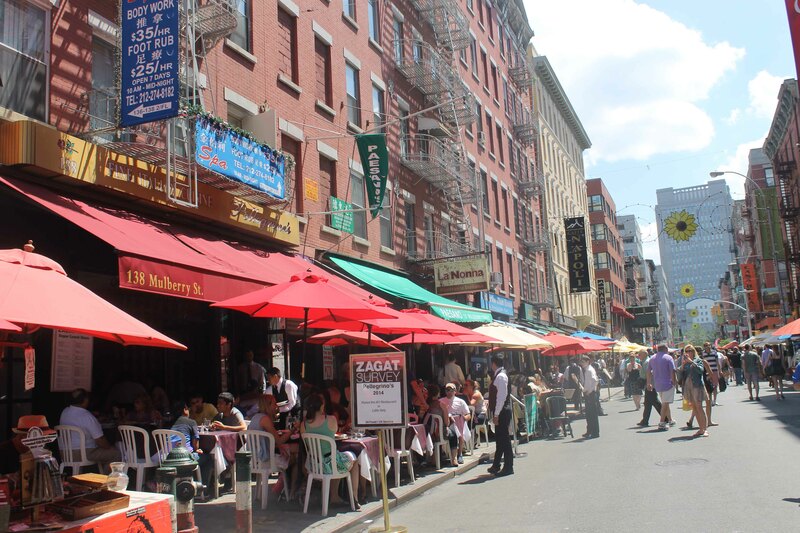 All the restaurants in Little Italy! I forget the name of our restaurant, but all the waiters were Italian (or, at least, they all spoke Italian and had Italian-sounding accents.) The food, by the way, was incredibly delicious. We went to Big Wang’s for second lunch, because you have to eat Chinese food in Chinatown, and also, you can’t pass up a restaurant called Big Wang’s. 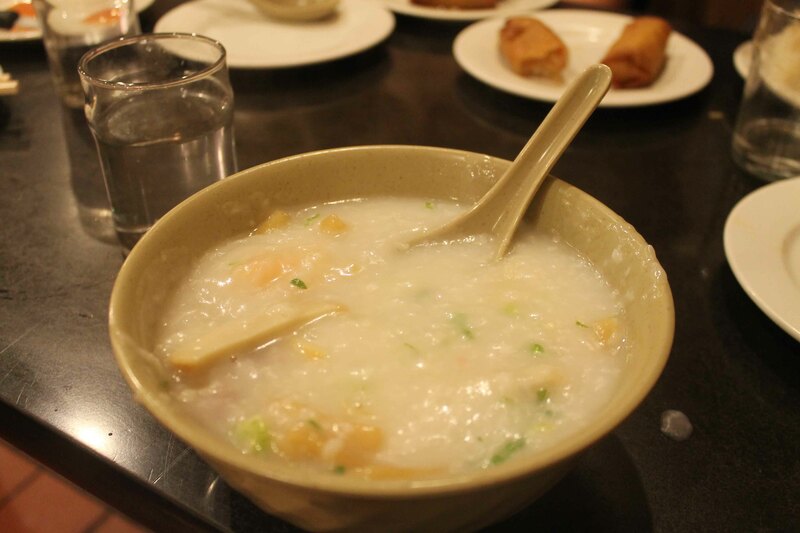 I got some congee, which was nice and easy on my poor abused stomach. 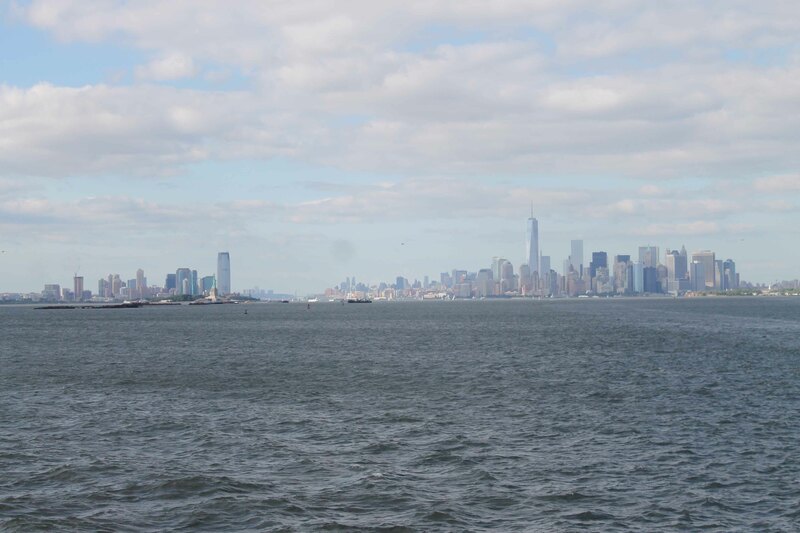 The view from the Staten Island Ferry – amazing! It’s a bit awe-inspiring to look at this skyline and think of all the lives that are happening within it! 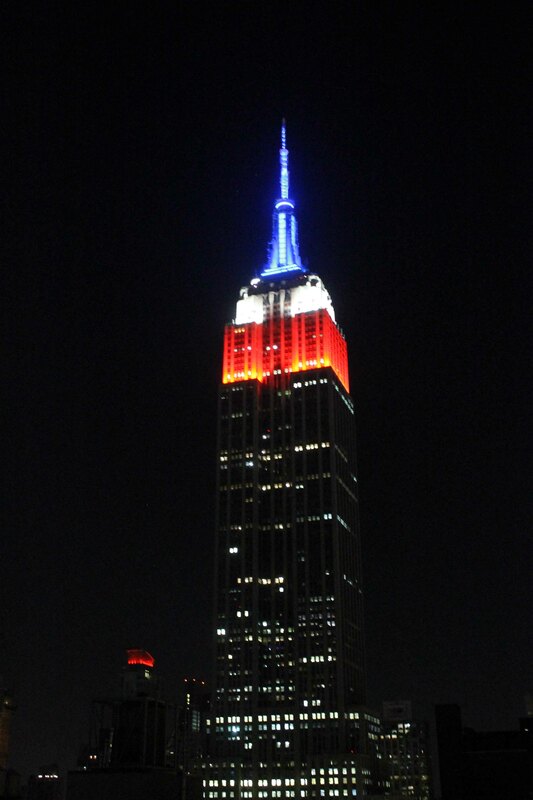 And, finally, the Empire State Building, lit up for – presumably – the World Cup. We saw it from a fancy rooftop bar (that I was way underdressed for!) our last night there.